Believe it or not, but the National Security Agency (NSA) is gathering nearly 5 billion records a day on mobile phone locations around the world. Snowden released documents that show that the NSA is tracking cell phone locations the world over as well as map the relationships of the mobile phone user and of course the purpose of this program is to identify terrorists and their networks overseas. "Sophisticated mathematical techniques enable NSA analysts to map cell phone owners’ relationships by correlating their patterns of movement over time with thousands or millions of other phone users who cross their paths." The Washington Post wrote. 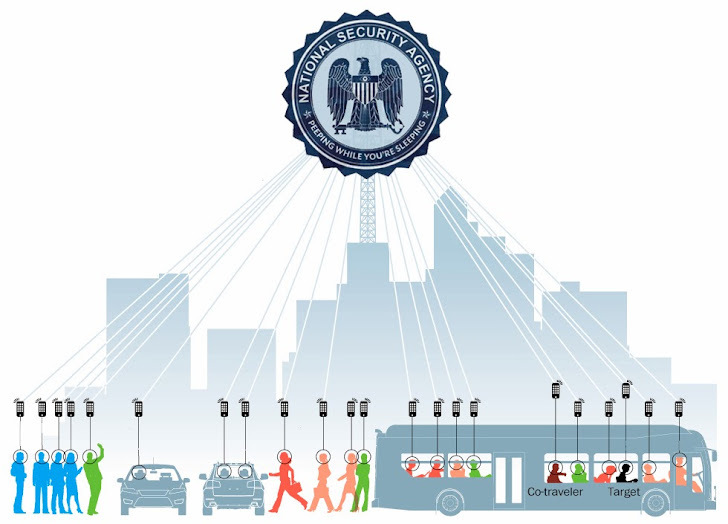 According to the WP, the NSA’s tracking tool is known as CO-TRAVELER, that tracks the locations of cell phones abroad as well as domestic cell phones that place calls abroad and capable of tracking cell phones even when they're not being used. The NSA is also able to track activity it deems suspicious. For example, if a disposable cell phone is turned on only long enough to make phone calls, it is flagged in the NSA's system and also when devices next to each other are turned on or off around the same time, that can also raise a flag. The government is tracking people from afar into confidential business meetings or personal visits to medical facilities, hotel rooms, private homes and other traditionally protected spaces. The NSA stores as much data they can, because they don't know what cell phone data might be needed.